Whitchurch District held a Swimming Gala on 8th October. The Gala was for all girls of all abilities, starting with running races in the water, swimming with armbands / floats, lengths of 25m front crawl, breaststroke and backstroke, swimming in pajamas and relay races. Whitchurch Town Council donated money for the district to hire the swimming pool. Tesco Whitchurch donated drinks for the afternoon and Co-op Funeral Care in Whitchurch produced and printed the certificates. Thank you for all of the local support! 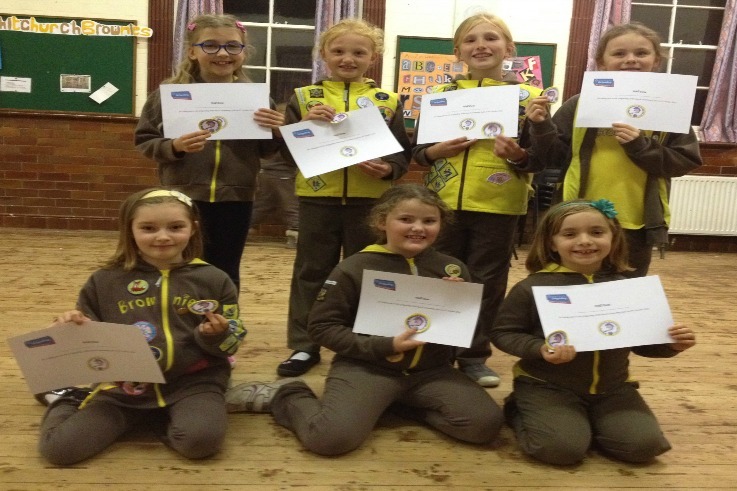 Here are some of the Brownies with their certificates and badges after taking part in the event.